The Russian team, which won the Chess Olympiad last September and took three silver medals in previous Women’s World team championships, will also play without two top players, Nadezhda and Tatiana Kosintseva. The sisters didn’t stay in the team because they refused to play for the team under the leadership of the trainer Sergei Rublevsky, citing 'psychological incompatibility'. Two former leaders of the team were replaced by Alisa Galliamova and Olga Girya, nevertheless the Russian team, placed on the second rank in the starting list, remains one of the favourites in the tournament. Women World Champion Anna Ushenina will play for Ukraine and it will be the first official event attended by Anna since she won the title. Ukrainian team, the bronze medallist of two WWTC in 2007 and 2009 and Olympiad in 2012, will undoubtedly fight for medals in that championship. The top-seed of the tournament Georgian team will play in Astana with the same line-up as in Mardin. In the last WWCTC Georgia managed to win the bronze medals. 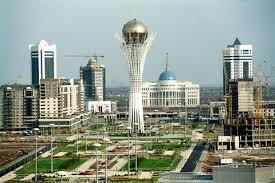 The organisers of the coming event are Chess Federation of the Republic of Kazakhstan and FIDE World Chess Federation, with the support of akimat of Astana, Agency for sports and physical education and the Ministry of Culture and Information of the Republic of Kazakhstan.